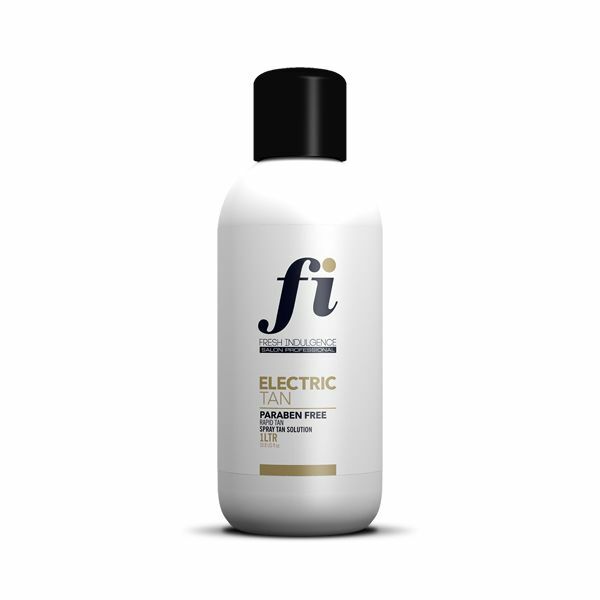 Why it's so special: Electric Tan is blended using an advanced "hot blend" process. This means that the solution itself is thicker, more luxurious, and feels warmer when sprayed on the body than traditional cold blend formulas. It's also made with superfruits including Açai Berry, Goji Berry, Grapefruit & Banana extract, blended with organic Aloe Vera juice and Ginger Root. • One DHA level fits all! Wash it off after 2, 4 or 6 hours for light, medium or dark!